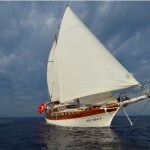 Gulet Dare to Dream | 18 meters 2 cabins gulet in Turkey. 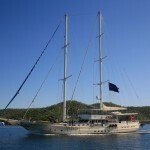 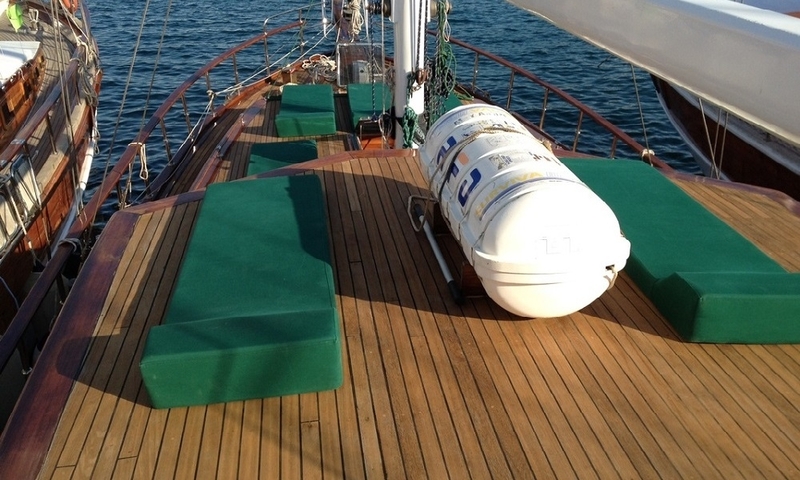 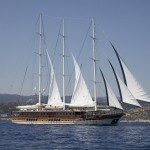 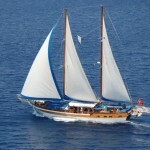 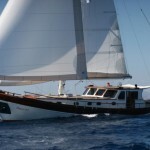 Dare To Dream is a luxury Sloop style Gulet. 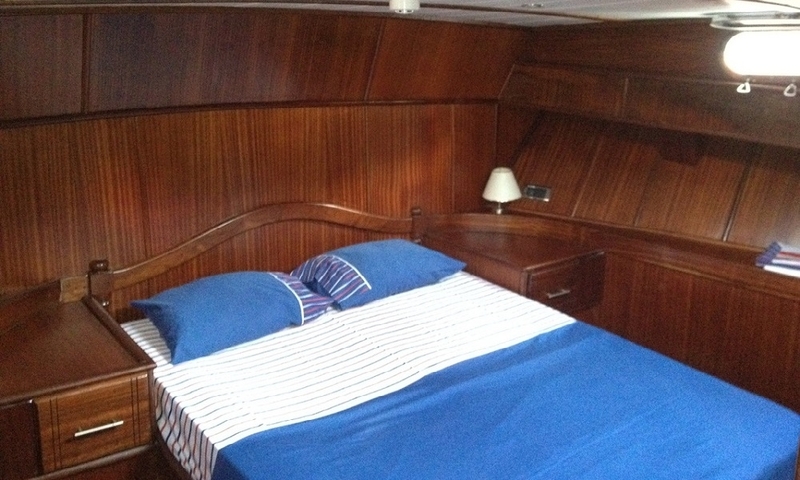 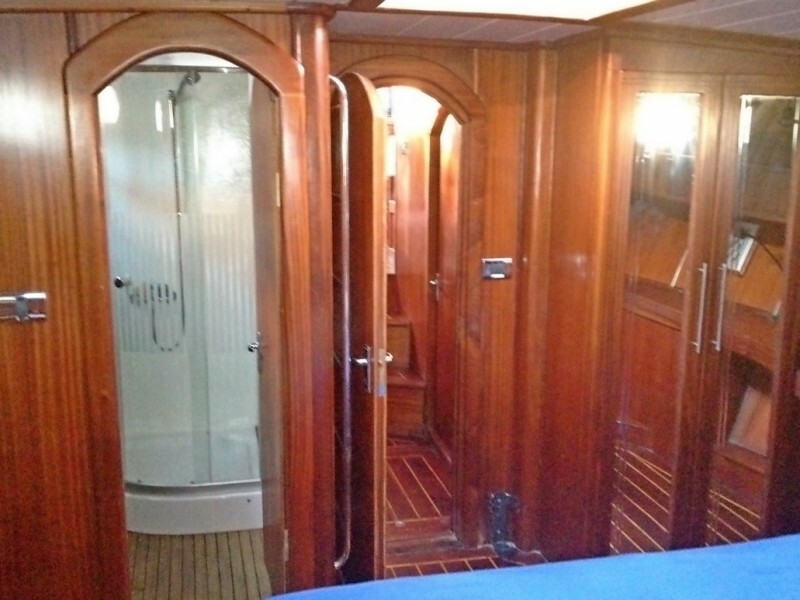 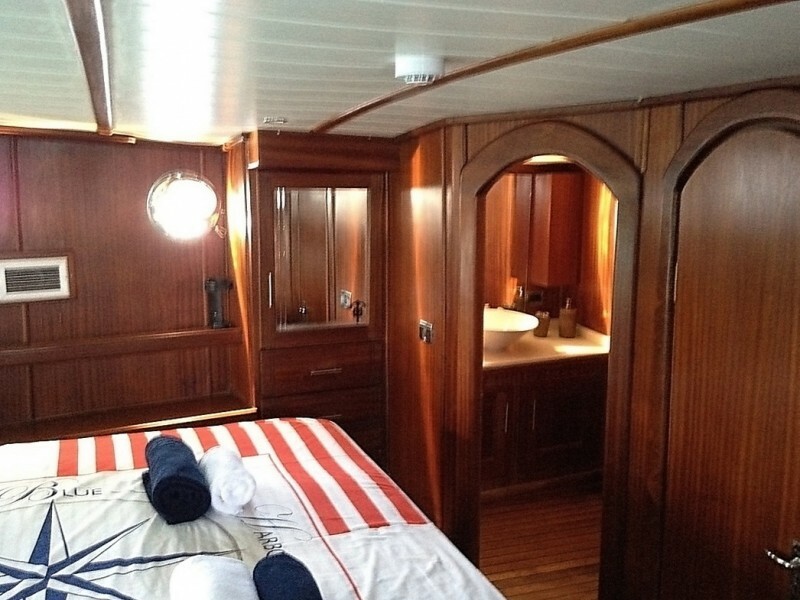 Her two spacious, comfortable master cabins feature private bathrooms and air-conditioning. 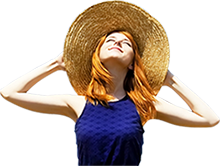 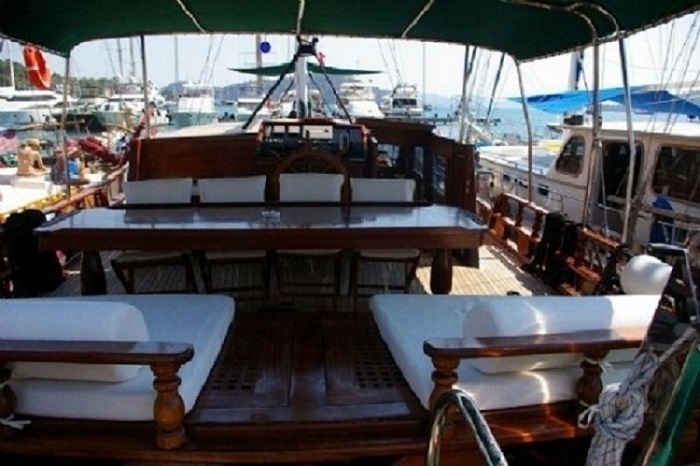 American owned Dare To Dream is consistently well maintained since being entirely renovated in 2011 to keep up with modern standards of yacht charter. 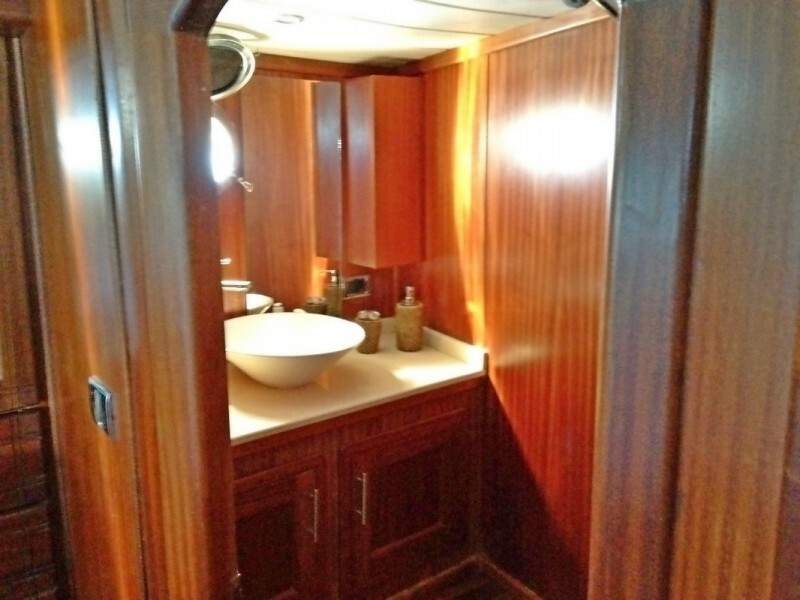 With her clean lines, and well finished features, the neat furnishing completes her attractive presentation. 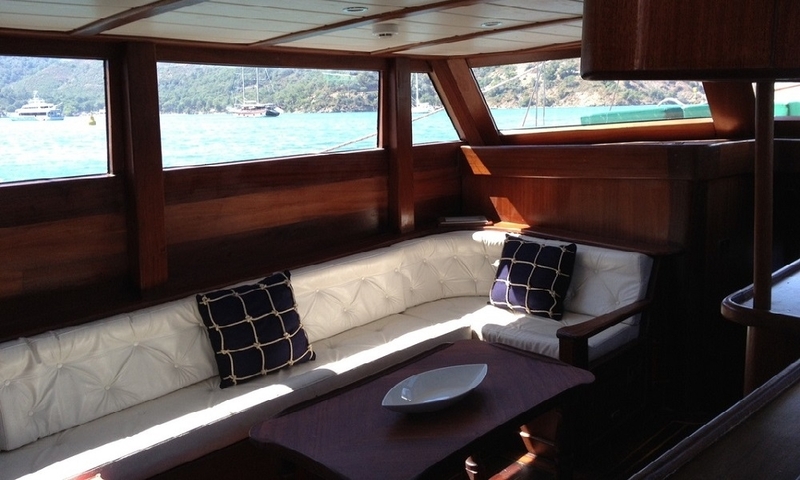 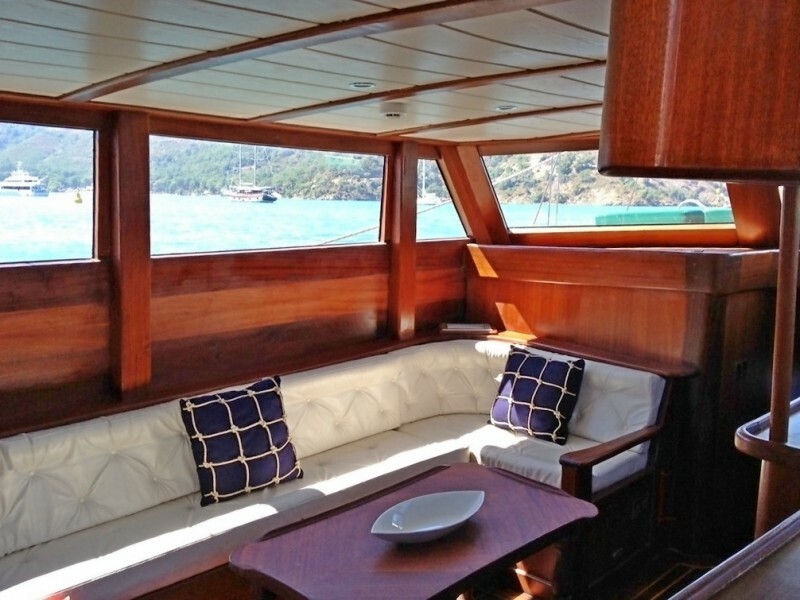 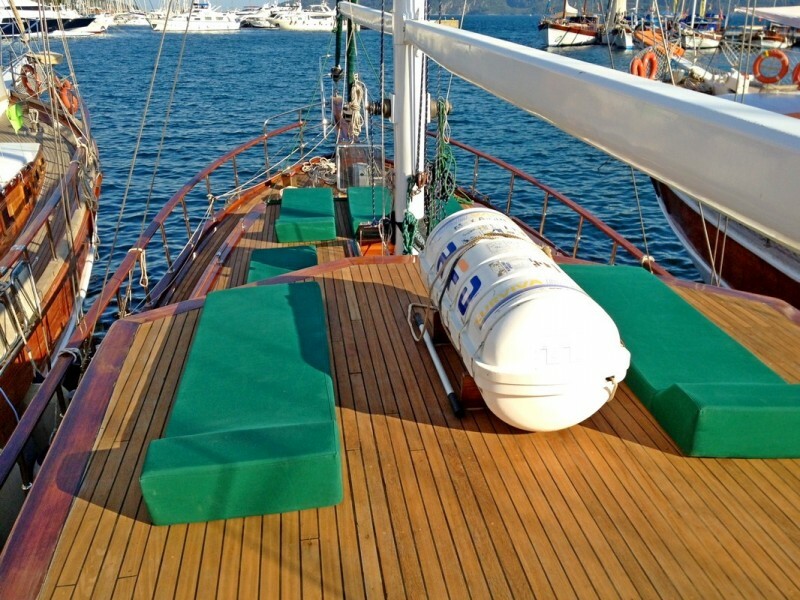 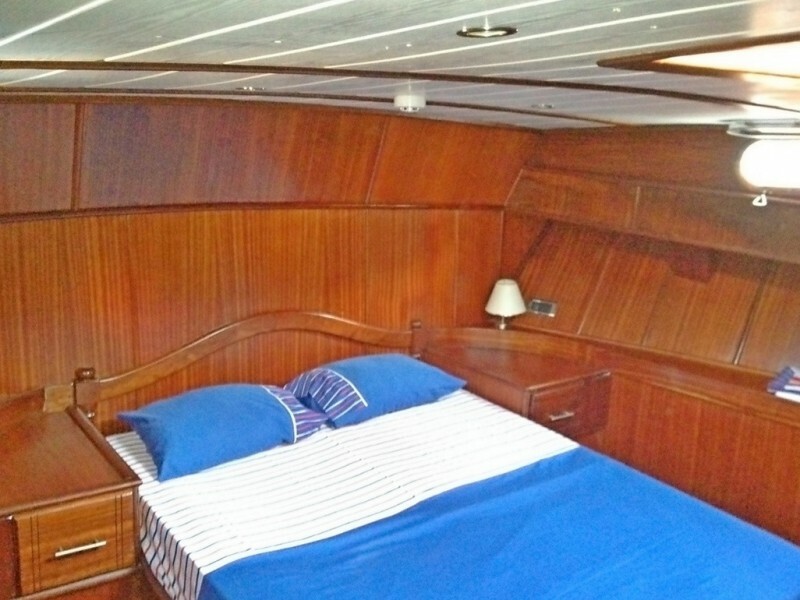 Her fore deck sports a spacious area with sunbath mattresses and aft deck consists of comfortable dining and seating area with sun mattresses and dining table. 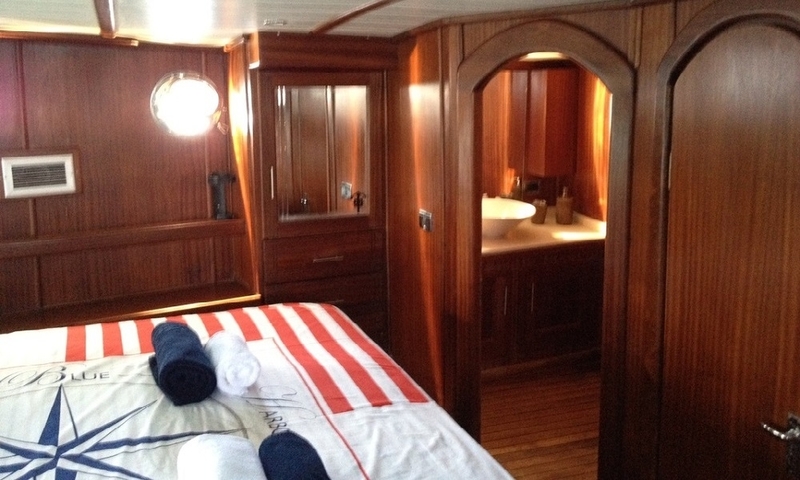 The captain and crewman are always working to have satisfied and happy clients.